I’m sure that you are aware that some of the best-selling books of the past five years have been written by news anchor Bill O’Reilly. They carry titles such as Killing Lincoln, Killing Kennedy, Killing Jesus, Killing Patton, and Killing the Rising Sun. This “Killing Series” has sold millions of copies and has been translated into dozens of languages. Not only are the books well written in gripping novel-style, but they also contain great history that is educating a new generation. You may by aware that Bill O’Reilly was let go by Fox News a week ago under controversial circumstances. At the time, The O’Reilly Factor was the number one news show on cable television worldwide–and held that position for fifteen years. Then Fox News “killed” O’Reilly. Here’s my take on what happened and how we should respond. I first learned of Bill O’Reilly about ten years ago when a friend tipped me off about Fox News. He’d been watching for a few months and enjoyed the Judeo-Christian backdrop to their reporting (strong Catholic roots) and their willingness to present both sides of an issue. Shirley and I started tuning in at dinnertime and quickly gave up any attachment to other news programs. It was obvious, even then, that the main news outlets in America such as CBS, NBC, ABC, CNN, and MSNBC were going increasing liberal (secular) in their news bias. Fox stood out as a major news company that still believed in the biblical view of life, government, sexuality, national defense and other important issues. We quickly became attached to the Fox News line-up–which seemed to be the only major network still representing traditional Christian-based America. I remember the first time I watched the O’Reilly Factor. 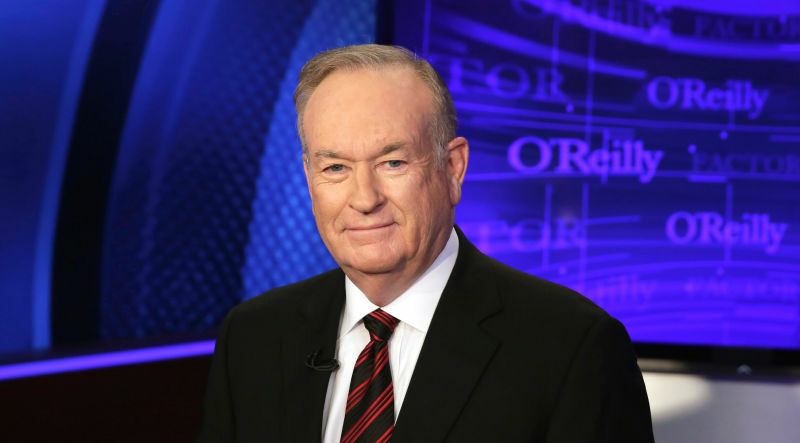 Bill O’Reilly struck me as a somewhat pompous but gifted communicator who had an uncanny way of taking complex issues and making them simple–from a biblical point of view. He also interviewed many smart and accomplished people while ferociously debating the other side. His heart seemed inclined to cut through the lies by creating a “No Spin Zone” where guests (experts?) weren’t allowed to pontificate and dodge questions. Facts were paramount and speculation was shunned. Bill seemed determined to get to the truth about issues, and always for one over-riding reason. Over time, the 5 pm O’Reilly Factor became our preferred program for digesting the news–just like millions of other people. Bill’s facts and analysis were simply the best–and a majority of Americans voted like us with their remotes. We always enjoyed O’Reilly’s opening “Talking Points” where he shared a monologue in the third person. Nobody could do it better and more succinctly on the issues of our day. When I wanted clarity or confirmation of what I’d been thinking, Bill’s perspective rarely disappointed. Sometimes on a busy evening, Shirley and I would just watch “Talking Points” before we moved on to other important things. Bill also brought many smart people onto his program who became household names. We enjoyed the insights of Charles Krauthammer, Bernie Goldberg’s exposing liberal media bias, the intellectual depth of George Will, and the virtuous wisdom of Bill Bennett. Over the years, to satisfy a changing audience, O’Reilly added some humor (entertainment) to the program. “Miller Time” featured comedian Dennis Miller and his mind altering rants. Gutfeld and McGuirk gave us a Laurel & Hardy version of news events. Jesse Watter’s “Watter’s World” segment (man in the street interviews) blew our mind about how ignorant Americans were becoming. Bill always ended The O-Reilly Factor by reading the mail-bag, congratulating seniors citizens on 100 year birthdays and 70th anniversaries, gave a “word of the day” (he was a former school teacher), a “Tip of the Day,” and often raised money (millions of dollars) for worthy projects. Then, suddenly, The O’Reilly Factor was gone–killed by the Fox execs. During our decade of watching Bill O’Reilly, I noticed that he might have a problem with lust. I saw it in comments he made and the way he looked at certain women. I’d also read some of his early books, including his autobiography (A Bold Fresh Pece of Humanity) where he was honest about an immoral past, including chasing women at Club Meds around the world. I was also aware of a failed-marriage and some of the problems associated with it. But Bill appeared to grow from these experiences and the more I watched, the more I gave him the benefit of the doubt that he’d changed his life. Plus, I knew the temptation of lust myself. I, too, am a fallen human being. On April 1, 2017, Emily Steel and Michael S. Schmidt reported in a New York Times exclusive that Fox had paid out $13 million dollars years ago to silence some women who said they’d been sexually harassed by Bill O’Reilly while working at Fox. One incident shared by an African-American employee purported that O’Reilly looked luridly at her and called her “Hot Chocolate.” The allegations followed the ouster of Roger Ailes, the Fox News originator, over more serious sexual harassment charges. The Times was out for blood. Why? Bill O’Reilly was the most powerful conservative news voice in the nation. The liberal establishment was still seething over the election of Donald Trump. Special elections weren’t going their way. Trump was reversing many secular-progressive policies pointing America back to her traditional-biblical foundations. Even the Russian collusion charges were blown up by 59 Tomahawk missiles dropped in Syria. So the New York Times dug out some old, suspect “mud” and threw it America’s conservative anchorman. O’Reilly admitted mistakes in the distant past, but vehemently denied the actual charges. Coupled with some arm-twisting by liberal elites and the pulling of advertising money by major companies, the decision was made to let O’Reilly go following a scheduled vacation in Italy with his children. According to new reports, Rupert Murdoch, the elderly founder of the parent company of Fox News, supported Bill O’Reilly. But his two sons, who increasingly ran the firm, saw it differently. They “killed” O’Reilly. He was fired. Many of us are sad. Bill O’Reilly is disheartened, and said on a podcast yesterday that time will vindicate him. So what’s the “no spin” truth and what can we learn from this? 1. We oftentimes “reap what we sow” in life. Bill O’Reilly sometimes called it karma. The biblical idea is more accurate–that our sins can boomerang on us. In Bill’s case, only he, God, and a few others know the truth about the sexual harassment charges. Using his own criteria, I won’t “speculate.” If they’re true, I hope he fully repents. If they’re lies, I pray for vindication. Don’t cast any stones. Search your own heart. 2. As Sean Hannity pointed out on his show last night, there is an orchestrated attempt in America right now to silence conservatives (biblical ideas) including free speech on college campuses. We must prayerfully and humbly resist those satanic powers and boldly proclaim the truth. 3. I believe Fox made a mistake in firing Bill O’Reilly–and this portends trouble in the future. It appears that the Murdoch sons may take the network in a more secular direction over time. That would be a shame. Keep your eyes open and pray for those that remain. 4. If Bill O’Reilly is being unfairly silenced, I pray a door will open up for a new faith-and-fairness-based network to be born or a return to television to continue sharing his clear, articulate perspective. We need many like him in America right now–not less. Let’s pray for a multiplication of the message. And “word of the day, ” don’t be gobemouche (Look it up!) when listening to the news. Thanks my dear friends. Sources are everything these days–so we must be wise. Yes, let's pray that God does an amazing thing with the years Bill O'Reilly has left to him. Thanks Ron I love your post! The news from the USA is usually bogus, with the exception of O;Reilly. We mainly get our news from sources here in S.E. Asia, which may be censored, but they don't lie or with hold news like USA sources. Gene and I totally agree with your take and are praying in agreement. Praying for Bill that what satan means for evil. God will work for go9d.